What is love? 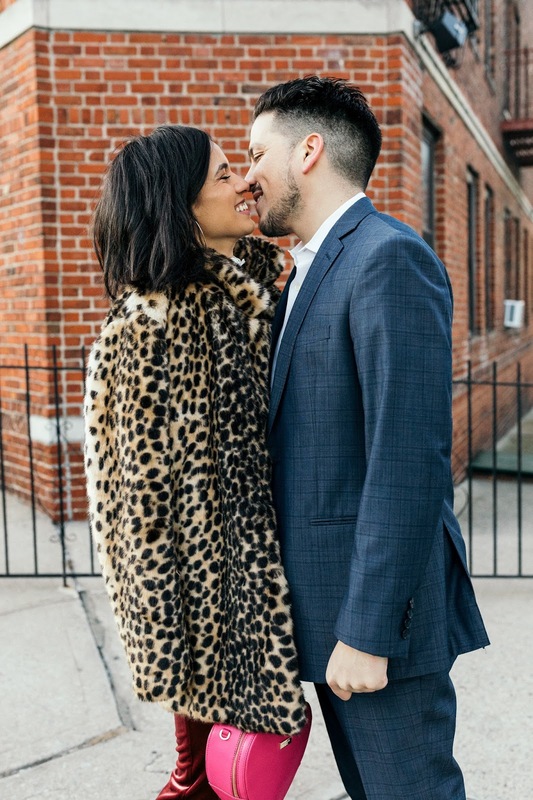 Agreeing to take Valentine's Day photos in freezing weather because you're girlfriend reaaaaally wants the content. Ha! 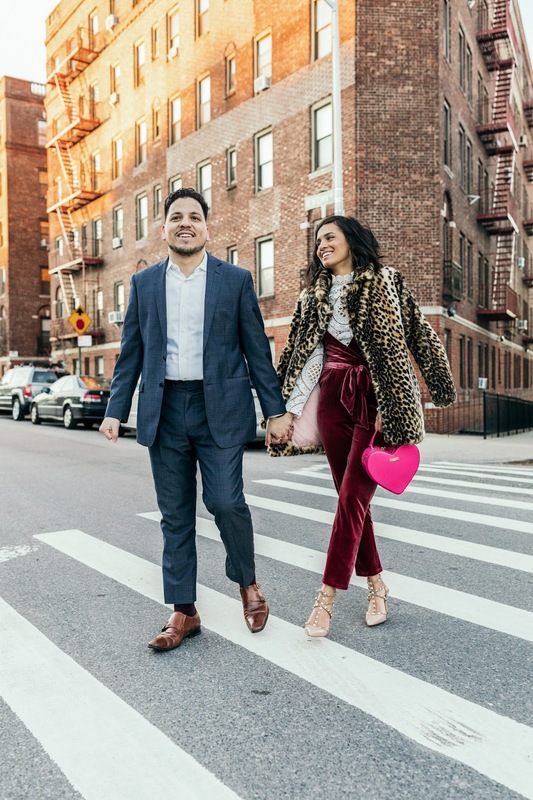 Coming to you guys today with some love-inspired OOTDs for Cupid's big day - aka Valentine's Day! I usually go the feminine route and throw on a cute frock for the occasion, however, when the weather forces you to choose between looking extra girly or losing a limb, you choose the latter. Here I'm styling this Express jumpsuit that I originally bought with the intention of wearing during the holidays. Because I legit cannot manage to wear bare skin and live to tell the tale, I threw on a contrasting white lace top that really helped the jumpsuit pop while keeping somewhat cozy. 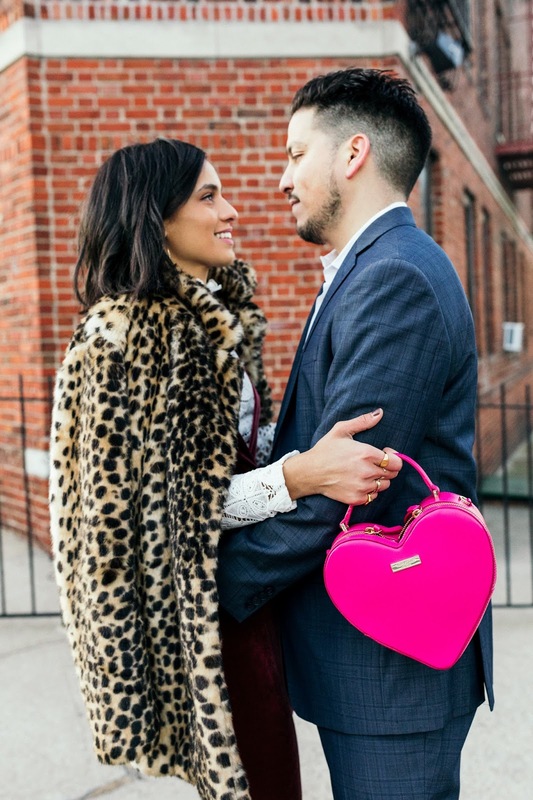 And because no Valentine's Day outfit could be complete without a bit of pink, I added this heart-shaped bag from kate spade that just screams v-day. Jay wore his trusty ol' navy suit from Calvin Klein - hehe! Wishing you all a wondering day filled with hugs, kisses and sweet treats tomorrow. And remember to spread love and kindness every day, not just on this holiday! 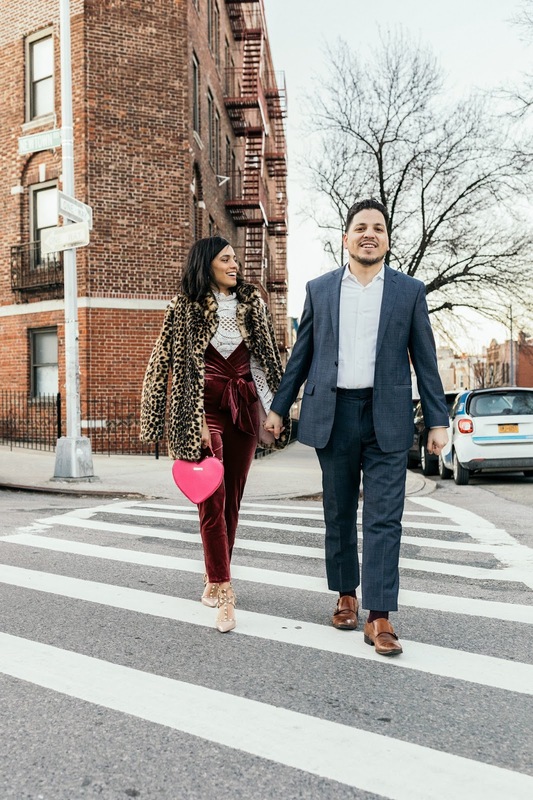 The velvet jumpsuit is definitely killer for valentine's day! I am obsessed with the white lace!